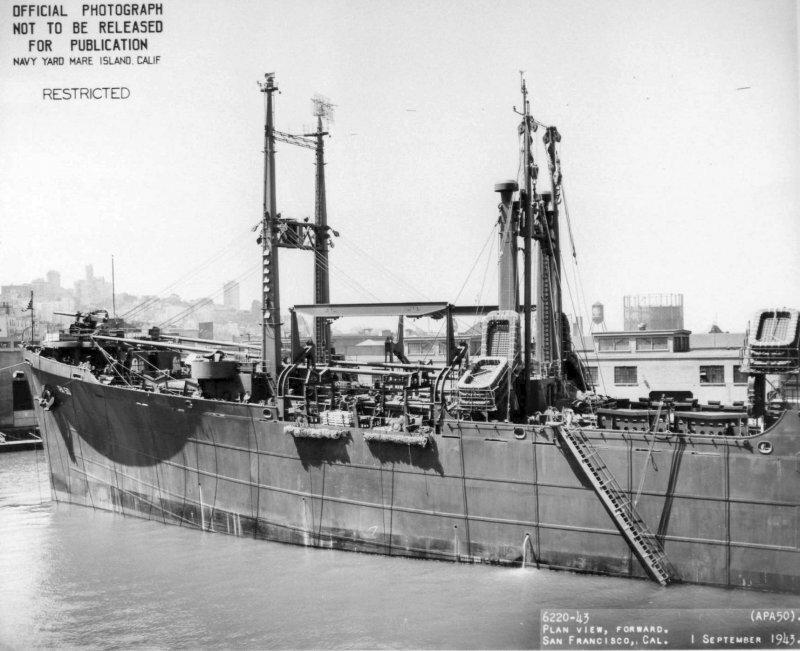 Laid down, 22 July 1942, as SS Northern Lights a Maritime Commission type (C2-S-B1) hull, under Maritime Commission contract (MC hull 289), at Moore Dry Dock Co., Oakland, CA. 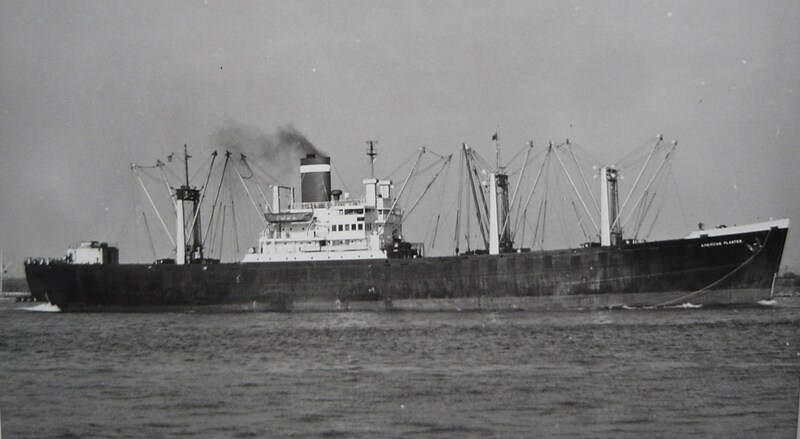 Decommissioned, 11 March 1946, at Mobile, AL. 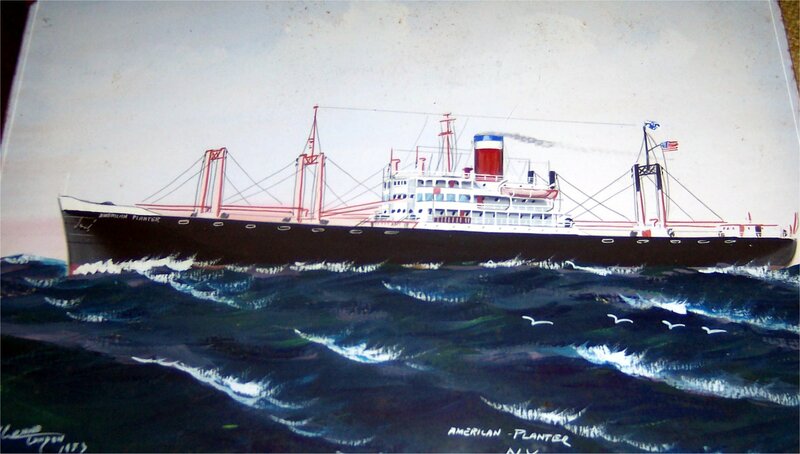 Final Disposition, purchased for scrapping, 3 March 1969, by National Metal and Steel Corp., Terminal Island, CA. Physically withdrawn from the reserve fleet, 25 March 1969 and scrapped in May 1969 at Terminal Island, CA. 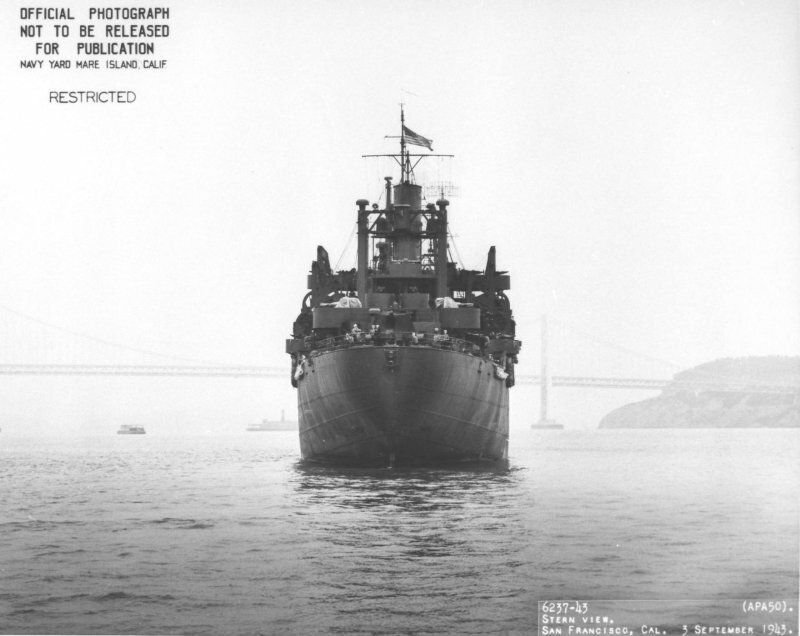 62k Broadside view of USS Pierce (APA-50) off San Francisco, 3 September 1943. Notice that she has no landing craft in her boat davits. 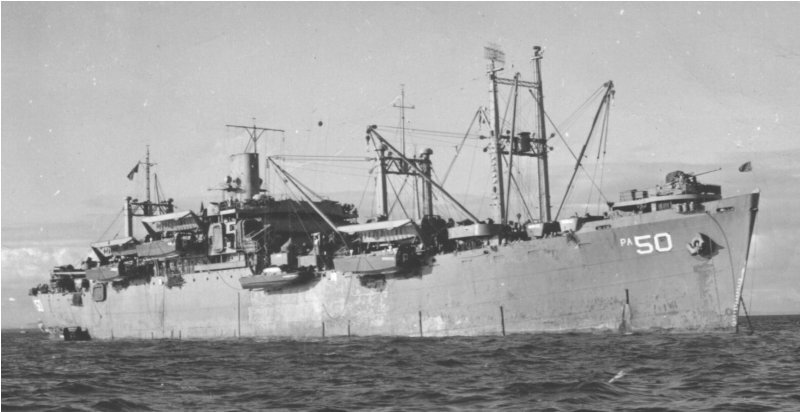 82k USS Pierce (APA-50) at anchor, date and place unknown. 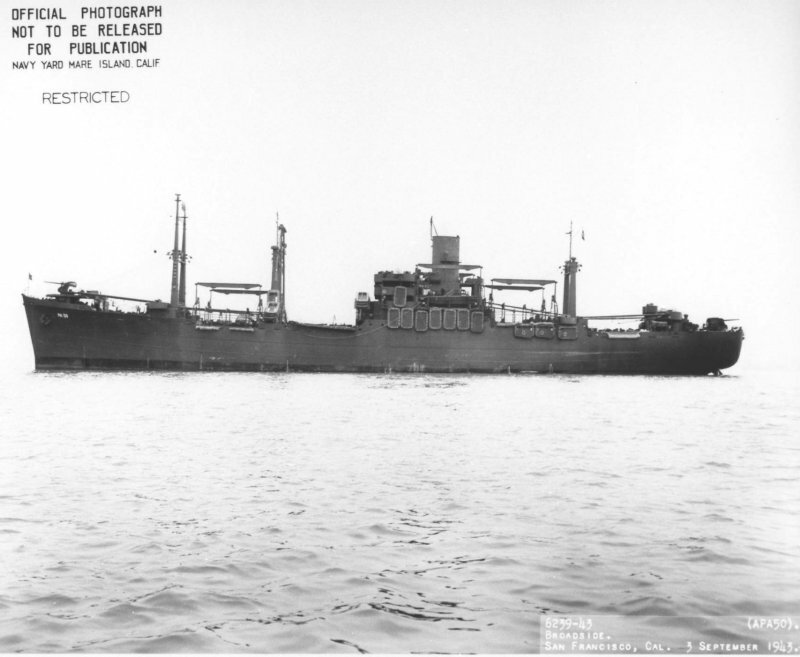 49k USS Pierce (APA-50) at anchor, date and place unknown. 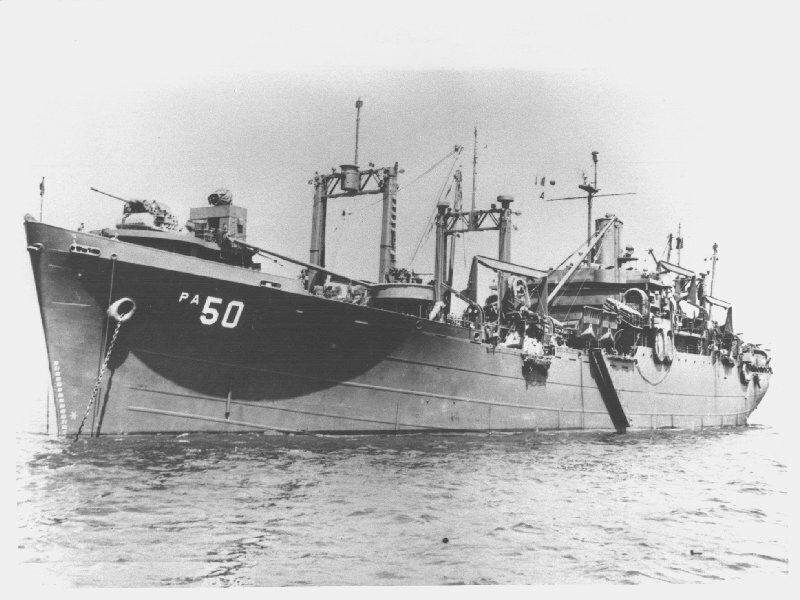 55k USS Pierce (APA-50) at anchor, date and location unknown. 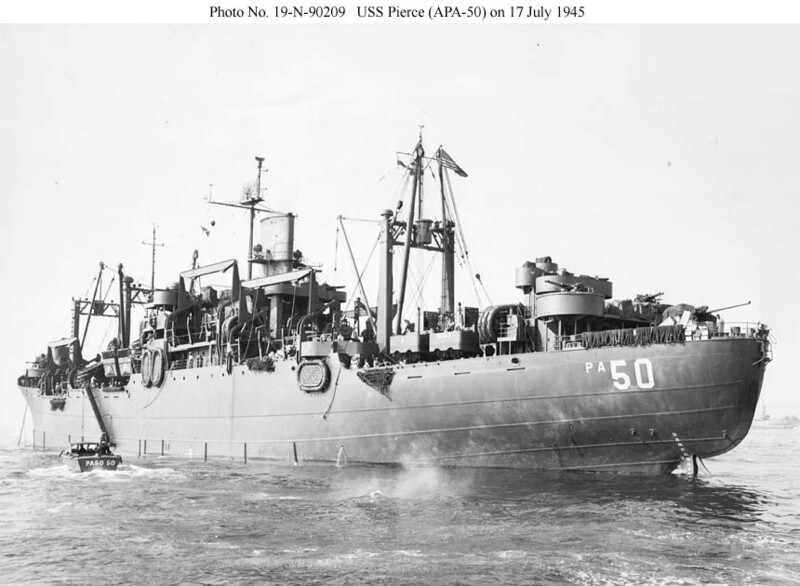 62k USS Pierce (APA-50) underway, date and location unknown. 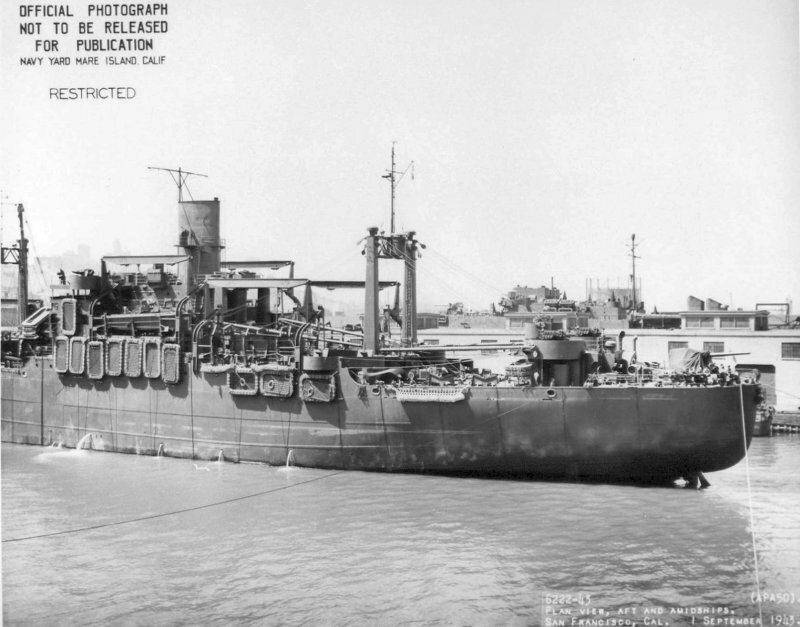 91k USS Pierce (APA-50) off Hunters Point Navy Yard, San Francisco, 17 July 1945. Note the armament aft, including the two twin 40 mm mounts that replaced the ship's original two 1.1" quadruple mounts. 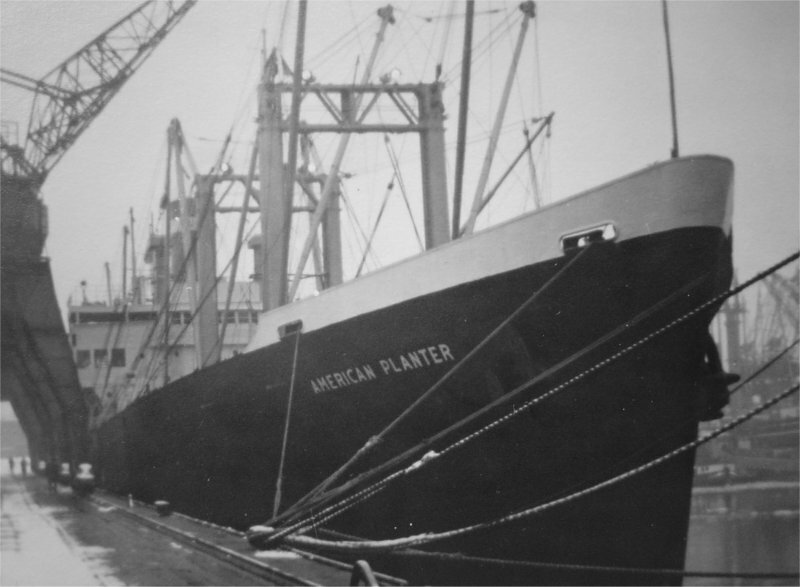 275k SS American Planter underway, date and location unknown.